Mini-Yo-We is a Christian Camp that is committed to developing tomorrow's leaders through life-changing adventures in God's creation. Our camp community is based on small cabin groups and camper to staff ratios of less than 3:1. Camp Mini-Yo-We offers a unique camp experience, innovative programs, dedicated staff and a safe place for campers to stretch and grow physically, socially, mentally and spiritually. Mini-Yo-We’s unique combination of outstanding programs, fantastic facilities, experienced staff, and opportunities for personal and skill development, has been bringing campers back year after year since 1946. Camp Mini-Yo-We offers half week, one week, and two week sessions. We offer a wide range of activities from which campers get to pick two an focus on during their time at Camp. Land activities include rock climbing, high ropes, archery, photography, martial arts, dance, land sports, arts & crafts, and more! Water activities include wakeboarding, canoeing, kayaking, sailing, windsurfing, horseback riding and more! We also have 3-day and 10-day tripping programs! 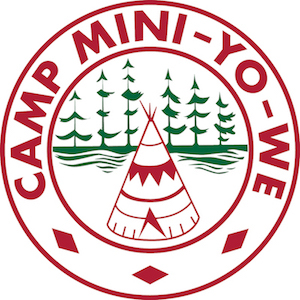 Camp Mini-Yo-We is located on a 270 Acre property in Muskoka, Ontario. Our youngest campers (age 5-9) are located in modern cabins with indoor washrooms and showers. Older campers (10-18) stay in more traditional tabins with washrooms nearby to each section. We have 4 incredible waterfronts, slides, a zipline, natural outdoor rock wall, and much more!